Feline herpesvirus type 1 (FHV-1) is a highly contagious pathogen of domestic cats and other members of the family Felidae. Point-of-care diagnosis of persistent infection in cats is essential for control of its spread. A recombinase polymerase amplification (RPA) assay (RPA-LFD-FHV) combined with a lateral flow dipstrip (LFD) was developed that uses human body heat for incubation. Sensitivity was evaluated by testing a serial dilution of a control plasmid, and specificity was evaluated by testing related viruses. Swab samples from cats with suspected infection were tested by RPA-LFD-FHV, and the results were compared to those obtained by PCR to evaluate its clinical performance. The RPA-FLD-FHV assay was carried out successfully within 20 min, using body heat for incubation. The RPA-FLD-FHV had a detection limit of 103 copies of the FHV-1 gD gene, which was lower than that of PCR, which was 104 copies. The assay could detect templates of FHV-1 but not those of other feline and canine viruses. 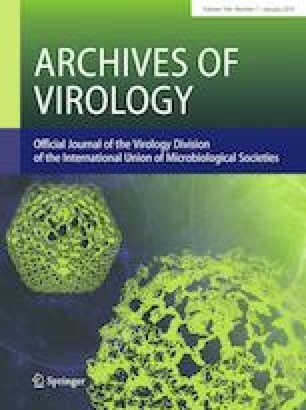 Viruses in boiled samples could be efficiently detected by the RPA-FLD-FHV. Thirty-one out of the 80 samples were positive by the RPA-FLD-FHV assay, whereas only 27 were positive by PCR. DNA sequencing confirmed that the four samples that were positive by RPA-FLD-FHV but negative by PCR were indeed positive. These results indicate that RPA-FLD-FHV is applicable for clinical use. The RPA-FLD-FHV assay is a simple, rapid, and reliable method for point-of-care diagnosis of FHV-1 infection. This work was supported by National Special Project on Research and Development of Key Biosafety Technology (2017YFD0500901, 2016YFC1200100, 2017YFD0500305) and Shenyang Key Research and Development Plan (17-161-3-00). The authors would like to acknowledge friends for collecting swab samples suspected of containing FHV-1. ML and LY performed the experiments. WZ participated in sample collection. BL and ML analyzed the data. BL and ZC drafted the manuscript. BL conceived and designed the study. This work was supported by National Special Project on Research and Development of Key Biosafety Technology (2017YFD0500901, 2016YFC1200100, 2017YFD0500305) and Shenyang Key Research and Development Plan (17-161-3-00).